So much for a late August release date. 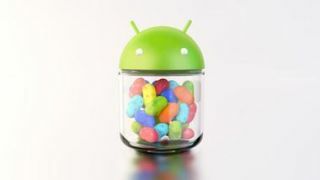 A test version of Samsung Galaxy S3's anticipated Jelly Bean update was leaked online recently, ahead of the semi-official August 29 release. Though the company never confirmed the Android 4.1 update was happening then, an anonymous source reported last week the update was coming down the line then. A video surfaced one day later, showing a faceless user tinkering around with the new OS and adding more fuel to the Jelly Bean fervor. The most recent leak - which actually lets users get their hands on the update, though at their own risk - has some extra features beyond just Jelly Bean, like a "palm swipe" screen shot function, added Live Wallpapers and a "dormant mode" function. There's also a new navigation bar clock, similar to what's found in Jelly Bean Vanilla, plus a few other add-ons and changes. U.S. users should be warned that the leak is only for international phones and won't work on their devices. Overall, developers might be the only folks interested in getting their hands on this as any download will invalidate your phone's warranty and could lead to some unwanted bugs, including a complete data wipe. This is only the beta version, after all.